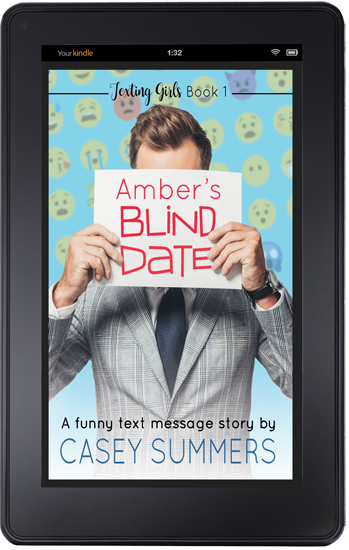 Thank you so much for reviewing Amber’s Blind Date! I really appreciate you taking the time to do this, but it’s not all about me! The more reviews I get, the more the wibbly-wobbly internet algorithms think I’m cool, and THE MOAR I GET TO WRITE NEW BOOKS FOR YOU! I’ve got a ton of ideas for new Texting Girls books. Help me prove there’s a market for them so I can write ’em for you! If you want to be alerted when the next Texing Girls book is released, enter your email here! We just sent you an email. Click the confirmation link to join my list!